20 Questions on SSD: #3 – Is your SSD protected from unplanned power loss? 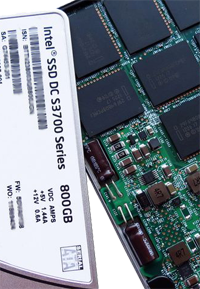 20 Questions on SSD: Things you’ll want to ask. Question #3 - Is your SSD protected from unplanned power loss? The Enterprise IT reader’s first thought here might be, “I don’t lose power in my data center, and if I do… I’m protected with uninterruptable power supplies (UPS) and a backup generator to boot… not an issue, right?” With that in mind, let’s dive down and get a little more granular with a couple of scenarios. I’m building a server in the data center, and the install hangs for some strange memory error and I need to pull the power cord or hard-cycle the box. I’m replacing a failed drive in a RAID set and accidentally pull the wrong one. I personally disavow any knowledge of having done something like this in a production environment at any time in the past, but it seems possible. 😉 I’m cycling through old drives at a lab workbench to see which ones to re-use and which ones to run a DOD secure wipe on before sending them to e-waste/recovery. Every one of these scenarios, and many others, carries with it the risk associated with ‘surprise removal’ or unsafe/unplanned power down. 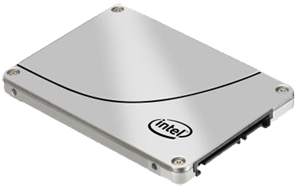 Intel’s response to this issue in our Data Center Family of SSDs is a feature called PLI or Power Loss Imminent! You can watch a short video explanation of PLI out on YouTube, but in a nutshell; PLI watches the voltages supplied to the SSD continuously, and if that voltage decreases significantly over a short time period the drive halts IO both internally and externally. It then switches over the internal super capacitor and makes sure than any in-flight writes are committed to the storage media (NAND). Think of PLI as a little spare gas tank or battery for your car. You’re almost home and only have a half mile to go when for some unknown reason your gas tank goes from half-full to nothing... PLI steps in and makes sure you get all the way home, all in one piece! PLI is an absolutely necessary feature for datacenters where unplanned removal or surprise power outages might occur, and you’d like to keep your data intact. Christian Black is a Datacenter Solutions Architect covering the HPC and Big Data space within Intel’s Non-Volatile Memory Solutions Group. He comes from a 23 year career in Enterprise IT.